Topic Is it possible to change account from Sole Proprietorship to LLC? Is it possible to change account from Sole Proprietorship to LLC? Hi, I am trying to sell products online through Amazon FBA but I am from outside the US and could not set up an LLC in my Thailand in time. Is it possible to sign up in Payoneer as an individual or sole propriertorship initially, and then change to an LLC later? Hi there @Nutthamont , You can definitely sign up to Payoneer as an individual to receive your Amazon payments. Just make sure you leave the "individual" selection checked when submitting the application for this. Could I sign up as an individual and then change to an LLC later? Hi @Nutthamont it is not possible to change the type of your account but you will be able to apply for a business account. I need to help you. 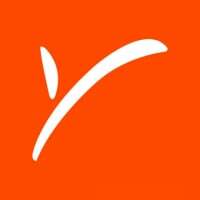 The Payoneer master card is needed for applying at freelancer marketplace to me. How can I'm mine get to order Payoneer master card number? Then I can approve my card from the Marketplace. And please tell me way something. The card we offer is a prepaid card, which means that it needs to be charged with available funds in order for you to be able to use it. Keep in mind that the only way for you to charge your card is by receiving payments from companies or freelancers that wish to pay you. Likewise, If you do not have available funds on your card, you won't have the possibility to link it to your freelancer account. Please let us know if you have any additional question. If I do not have the card number. How do I load my card in the freelancer market place? how will get it the card number? Hi @mdponchumia, great question. Depending on how you have added your marketplace, it would be linked with your Payoneer account, meaning that if you added the marketplace to your Payoneer, you don't need to have the card number to receive payments. You can still withdraw funds that would be waiting for you on the card when you got it.